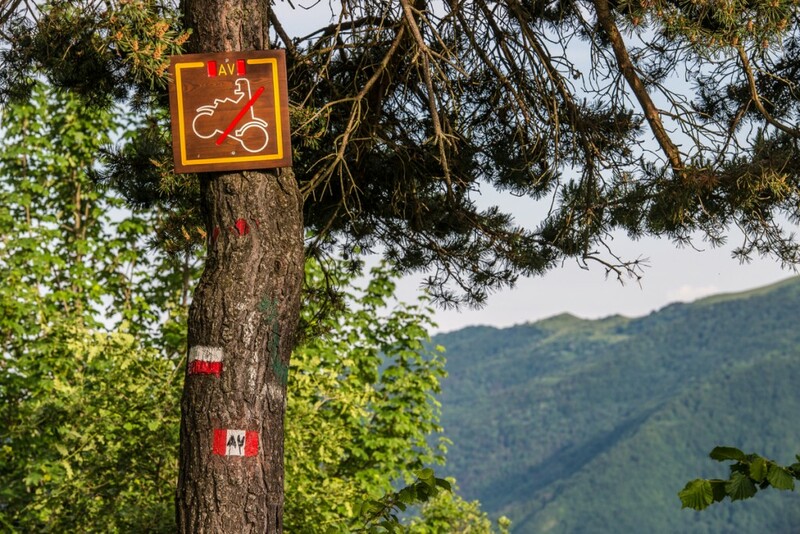 Each participant is required to participate in the Liguria Mnt Divide following the general rules in an honorable way, each biker is responsible for his own conduct. Are admitted to Liguria Mountain Divide all the people who have completed 18 years of age at the time of enrollment. The route starts from Bolano (La Spezia) and ends at Airole (Imperia) for a length of about 550 km and 20,000 meters of elevation gain, on paved roads and open to traffic, dirt roads, trails and technical traits to portage accomplish with bike on the shoulder. The organization will provide the GPS track of the detailed path to follow. The track must be followed in full and without cuts or variants. If a partecipant have to leave the race track he will resume it from the point where it was left. Is not set a maximum time of travel. The race is run in solitary. Competitors can share the path and their resources. It’s prohibited any form of outside help, both to navigation, or lighting, in form of material from relatives, friends, or strangers unless a fee is paid to guarantee the same opportunities to all participants (must be an exercise / service accessible to all competitors). The SPOT device for tracking the position must be kept turned on for the duration of the route. In case of withdrawal before arrival this will be communicated via SMS to the organization. Each participant is responsible for damage to persons, animals or property. The equipment and clothing of the participants must meet the environmental conditions and be adapted to sudden climate change on the mountain range. It is mandatory to use a GPS for location and route tracking. Each athlete must be in possession of a racing card of sports federation or a medical certificate, and a copy has to be sent to the organization by May 30, 2015. In all cases where the race will pass on roads open to traffic, the athletes will be required to comply with the Road Code of the Italian Republic. LMD takes you to the open roads and without any security checks. The use of helmets is mandatory for the duration of the path. The organizers reserve the right to change the route before departure for security reasons and to establish surprise checkpoints.